An error rate monitor that is used in the SS7 system that is used to estimate the error rates associated with a signaling link. 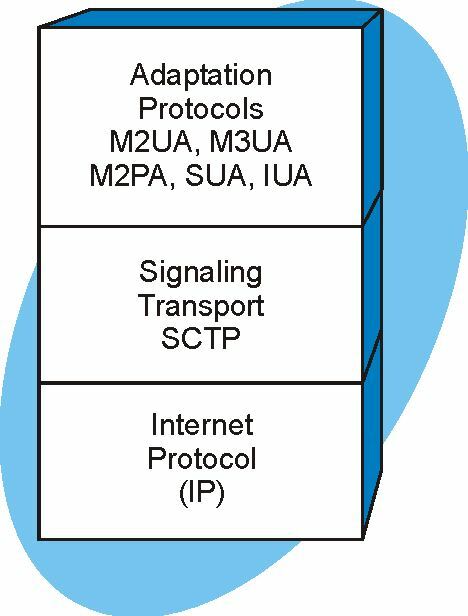 This diagram shows that the Sigtran protocol stack is composed of the packet transport layer (IP), common signaling transport layer, and adaptation protocol layer. This protocol stack allows the Sigtran system to transport signaling control messages on a connectionless IP based system. The IP communication channel is managed by the SCTP connection-oriented protocol layer to allow for sequential and secure transport. The adaptation layers convert the protocols (e.g. IP addressing to Point Code addressing) between the Sigtran system to the SS7 system.